Sondra Ray, author of nineteen popular books on the subjects of rebirthing, relationships, spirituality and healing, has formed a new expression of conscious connected breathing that liberates the mind from the past memories of birth trauma and negative thoughts that sabotage our life. Liberation Breathing® is the new yoga of our time….getting us in touch with our SOURCE faster than any other spiritual practice. 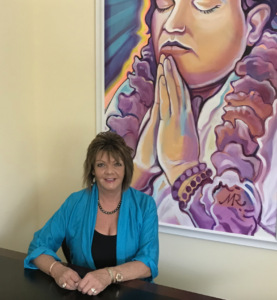 Sondra Ray heads the team of practitioners worldwide who have spent years mastering the healing power of the breath, and who have surrendered to the Life Force of the Divine Mother. Sondra is a master of teaching the truth about relationships. 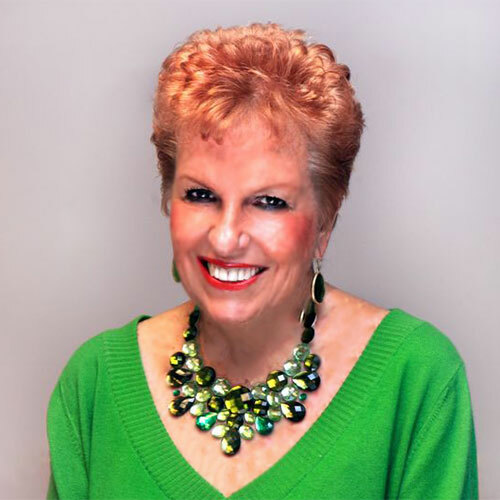 She wrote the Loving Relationships Training in the 1970’s and it has been taught internationally ever since, helping thousands of people get clear on the dynamics of relationships. Her high road to practical enlightenment brings clarity to the cause and effect of thought, and the importance of cleansing the mind of “negative thoughts” that inevitably lead to death. Her teaching and books on immortality have posed the possibilities of spiritual healing and the extension of health and life by the power of one’s mind…and the powerful forgiveness process of Liberation Breathing®. For anyone interested in being all they can be, and ascending the ladder of holiness to their immortal Self, Sondra Ray is an effective guide and mentor in these times of great change and transition. She offers seminars and retreats all over the world, and is available anytime for private Liberation Breathing® sessions over SKYPE. Partner of Sondra Ray, Markus assists her on the Liberation Breathing® Team. He also maintains an artistic career and continues to paint during the workshops all over the world. See his paintings on his website: www.markusray.com. Markus writes as well as paints, and currently authored three new books with Sondra Ray. He writes articles at www.markusray.com/art-look and completed a volume of verse and paintings called Odes to the Divine Mother. Markus is the Creative Partner of Sondra Ray and www.sondraray.com. He co-ordinates Sondra Ray’s worldwide schedule of events, workshops and retreats. Recently Markus works at www.markusray.com where he offers originals and Giclee reproductions of completed paintings of Babaji, the Divine Mother, Jesus and other holy subjects. He has also created an online art magazine: “Art Look” —an art lover’s companion— You can subscribe to it on his Home Page and receive a free Min-E-Book: Art Look: How to Live Better With Art. Tove Jensen, JOINS US on the LIBERATION BREATHING TEAM, from Copenhagen, Denmark. 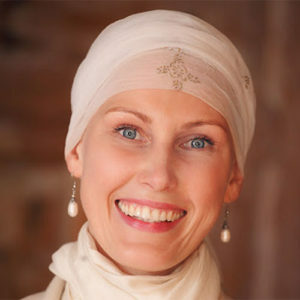 Tove has more than 25 years of experience with body therapy, breathwork and healing. She is a practitioner of Liberating Breathing® and has studied and worked closely with Sondra Ray since 2010. Prior to that she received training from Lena Kristina Tuulse in Sweden, and Binnie A. Dansby who developed SOURCE Breathwork, working with them for 15 years. Since 1984 she has been a student of the Energy Master Michael Barnett, and since 1997 a devotee of AMMA, Sri Mata Amritanandamayi Devi. She has stayed in the ashrams of these two Masters periodically. Her spiritual connection to them is the fundament of her work. Tove worked with environment protection for the Danish Government for many years, besides her practice with body therapy, Energy Work and breathwork. Now she works only in her practice, with groups and individuals. Pille Tali joins us on the Liberation Breathing team from Tallinn, Estonia. She has studied intensely with Sondra Ray since 2011 and is the main Liberation Breathing® organizer in Estonia. Pille also teaches yoga and has a breathwork practice near Tallinn. She also has studied economy at the university and is working as a real estate agent. She has studied Yoga in ashrams in India, Bali and the Bahamas to further her knowledge and deepen the understanding, with the aim of growing spiritually and teaching others on the same path. She says, “The day I discovered Liberation Breathing® my life really blossomed.” She has been practicing Liberation Breathing® from the year 2011. Pille offers private sessions as a certified Liberation Breathing® practitioner and also continues to teach weekly yoga classes in Estonia. 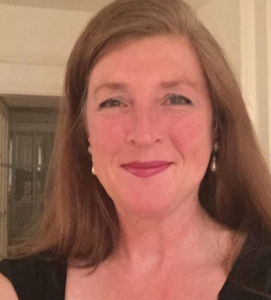 Lucy Pattinson joins us on the Liberation Breathing® team from Surrey, UK. She began studying with Sondra Ray in 1991 doing an extensive Rebirther training in Connecticut, USA in 1992. In 2008 Lucy began the journey of Liberation Breathing® in India with Sondra and Markus Ray qualifying in 2018. 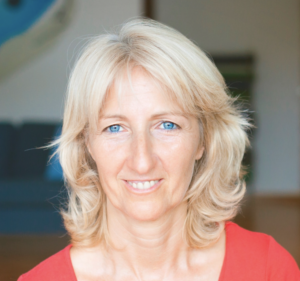 Lucy is the principle Liberation Breathing® organizer in the UK. Lucy has been a Rebirther since 1992, but now with the extraordinary training of Liberation Breathing ® her practice is much more powerful. She believes deeply that the Rebirths she gives are now 6 times more powerful using the tools of Liberation Breathing®. 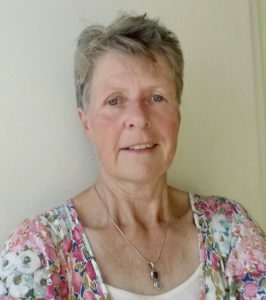 Lucy offers private sessions as a certified Liberation Breathing® practitioner and also continues to do monthly group breathes in Godalming. We met Silke Modersohn at the Global Inspiration Conference in India in 2014. She has been trained as a Rebirther in 2005 in Tenerife, then spent time learning with Leonard Orr in Spain, Germany and United States. She started organizing us in 2016 in Tenerife, joining us to Bali and India. She is a very experienced and dedicated Breathwork Practitioner and has been initiated to Liberation Breathing in 2017. Silke has a Breathwork Center in Tenerife, Spain, and gives private Liberation Breathing sessions and workshops and Rebirther trainings. 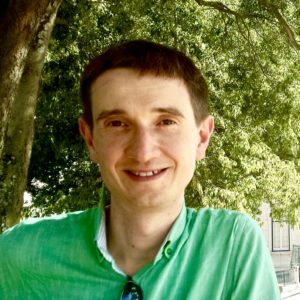 Krzysztof Peśla joins us on the Liberation Breathing team from Szczecin, Poland. He has studied intensely with Sondra Ray since 2014, and before with Leonard Orr since 2005 and he is the main Liberation Breathing® organizer in Poland. Krzysztof has a breathwork practice in Szczecin. He also has studied law at the university and owns a polish-german law firm. 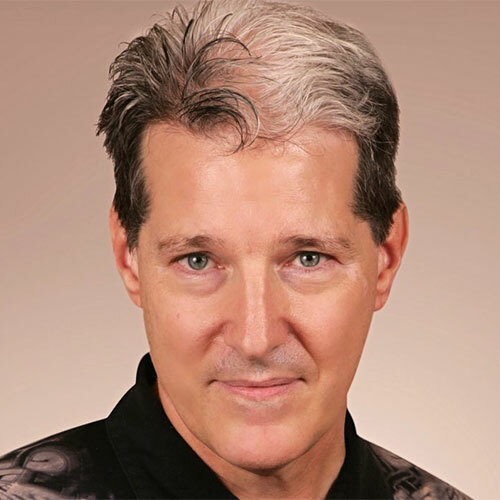 He was improving his understanding of Liberation Breathing in India, Bali, Island and during various trainings and individual sessions with Sondra and Markus Ray. He co-translated two Liberation Breathing® books into polish, which have been recently published. He has been practicing Breathwork since 2005, with focus on Liberation Breathing® from the year 2014. Krzysztof offers private sessions as a certified Liberation Breathing® practitioner in Poland. 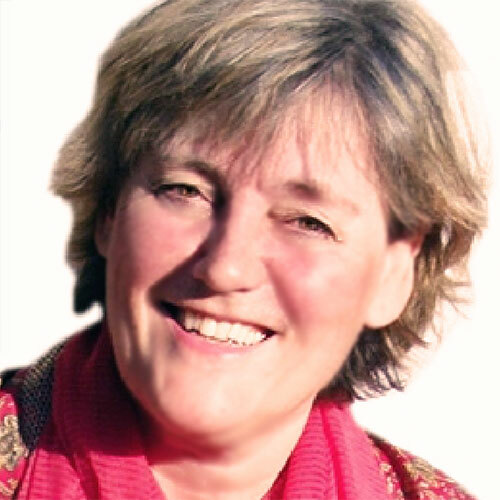 Monique van den Toorn joins us on the LIBERATION BREATHING TEAM from Amsterdam, Holland. Monique has taken the teachers training with Leonard Orr, founder of rebirthing and took the complete rebirthing training in Holland with Robert Tettero. She also assisted Robert on a hot water breathworktraining. Then Sondra Ray came into her life. After working with hypnosis, Louise Hay courses, massage and rebirthing from the nineties Monique discovered the Liberation Breathing with Sondra Ray and Markus Ray. She attended many quests and trainings all over the world and never before had she been in such high energy places with guidance of clear, highly spiritual teachers, Sondra and Markus. Monique feels Liberation Breathing is a divine tool for growth and healing and it is so complete that nothing else is needed. It connects you to your soul where everything is perfect. Monique organizes workshops for Sondra and Markus Ray in Holland and offers private as well as group breathwork sessions. Jane has a thriving spiritual healing practice in Los Angeles. She works with corporate clients, celebrities, and her work has been included and promoted in the Grammy, Academy, and Emmy Awards. Jane assists Drs. and Therapists with their patients needs. Drawn to Liberation Breathing for 10 years, she sought to deepen her process and bring a more powerful level of service to her clients. Jane’s studies with Sondra Ray and Markus Ray have increased the effectiveness of her one-to-one work with people, helping them to be all they can be, and helping them release the subconscious blocks in their mind to living their full potential. Jane is the principal LIBERATION BREATHING® / LRT® organizer in California. Jane offers private sessions and group breathing events as a fully certified Liberation Breathing® Practitioner. She is also well versed in Reiki and Past Life Regression.